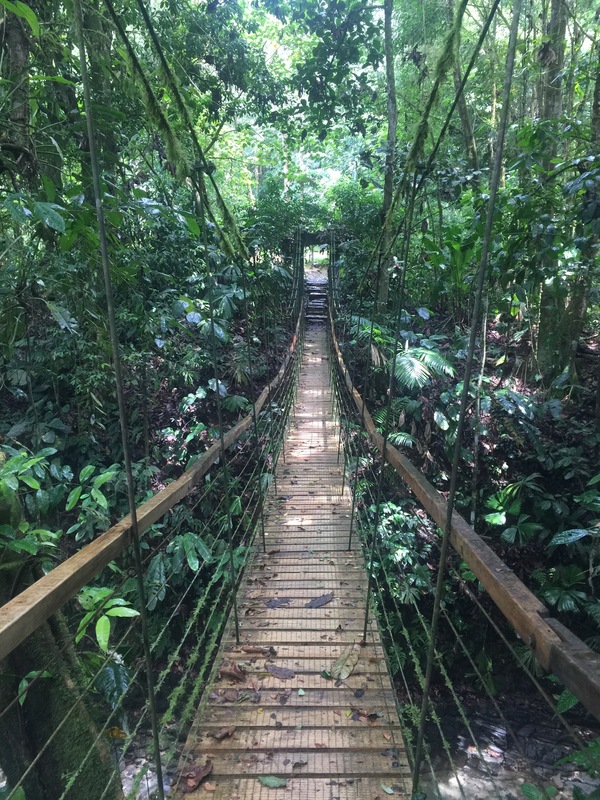 Last week, I took a big step onto a wobbly bridge. It would seem like the wobbly part is a problem, but with bridges, even the most majestic bridges flex as needed. Suspension bridges are wobbly and get a bad rap. They are the bridges in the movies that often break when the heroine is midway across. It is beyond my comfort zone. I’ve been slowly building up my strength and stamina for the past year. It took time to find the right “box” as they call it in CrossFit. And then there I was. The coach promised we could start where I was, and we did, but my ego was bruised when I could not lift the bar over my head the way the others could. I reminded myself, again, that I have the courage to be a beginner. Seeing what is possible in others is an excellent motivator for me, and the group training aspect was one of the things that appealed to me. It’s positive peer pressure, more like peer inspiration. As with anything new you have no idea what will be revealed. Within two workouts, I had a big aha. I have had these odd aches in my arms over the past few years. They have come and gone. As we began, what looked to be an easy lift of light PVC pipes over our heads was where my weak spot was revealed. The range of motion in my shoulders is very limited. Yes, even with my yoga practices, and what appears to be pretty good flexibility, I have shortened muscles across the front of my chest and weak upper back muscles. I realized often in the yoga videos I do I skip the segment that is the back work. Oops! So was it bad news. No, it is FANTASTIC! Quickly I realized this is the challenge for many of us who work. It doesn’t matter if we sit at a computer, are a hair stylist or a work as a food server. We are putting our hands together and are leaning forward into our work. Let me state loud and clear, the work is not the problem. Yes, we are shaping our bodies with the hours we spend in these shapes. Work is what we do, it’s why we are here, it pays the bills and is our service to humanity. The decision is how I will respond now that I know this and what is my mindset about what to do next. When I thought about it, I know which poses help with the opening of the chest and strengthening of the upper back. The even better realizations; those poses feel good. Bridge pose is one of those poses. Here are three things I love about bridge pose. It can be a flow, a moving bridge, open and close, up and down. Maria DeNoda, one of our Prasada yoga instructors, has a fantastic, short video for bridge flow. I like doing this one in the morning. It is a gentle way to awaken my body to the flow of energy in the front and back body in addition to the chest and front body muscular openings. It can be held, to feel and explore what is engaged and what can be softened. This is a pose that I also like to just stay in for 6-8 breaths. With each breath, a slow inhale and exhale through the nose, I can feel my collar bones dripping down to the floor. I like the pressure in my upper back and my arms as they press into the floor. That connection to the floor and pressing down is what creates the rebound effect that I can feel lifting my hips. I can feel my heartbeat in the palm of my hands. This is something that happens after the hips come down as I am finished with bridge. Consistently when I bring my hand to rest on my belly, I can feel my heart beating through the palms of my hands. For me, there is something magical and wondrous about this. I feel like that little girl who first heard my own heartbeat. Wow, that is me, that is my motor, that is MY heart, steady and magnificent, I am here, I am alive. The journey continues. Day by day we each decide, can I be a beginner, start exactly where I am right now? Can I step into the uncertainty? Can I recognize the invitations in what is revealed to me? Will I choose to gather my courage so that I can grow.